CSI Paysystems is a Built for NetSuite AP automation and payments platform that increases workflow efficiency, eliminates manual processing, and significantly reduces payments fraud. New revenue can also be captured with monthly cash rebates earned on virtual card spend volume. CSI Paysystems provides full AP automation capabilities across all payment types including virtual cards, ghost cards, ACH, CSI’s proprietary network, and foreign exchange. 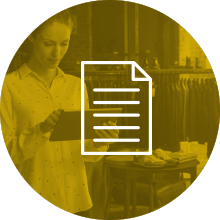 With a single file upload we can manage 100% of your payments globally while driving significant cost-time savings associated with payment cycle times. 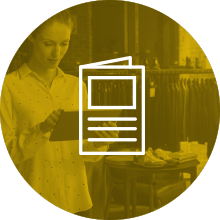 Our solution allows companies to improve discount capture on invoices, increase workflow efficiency, eliminate manual processing, significantly reduce payments fraud, and create new revenue earned through cash rebates on virtual card spend volume. Automate AP and create new revenue just by paying your vendors. When you automate accounts payable and reduce manual processes through CSI Paysystems, you can expect immediate cost and time savings. Since 1989, CSI has provided innovative payment solutions to the world’s leading brands while providing the highest level of customer service. CSI’s products provide secure automated solutions, reducing costs in all areas of B2B payments. Our company is a PCI DSS compliant and SOC II certified organization as well as a trusted partner of both Mastercard and Visa. · All Payment Types: CSI Paysystems is an award-winning platform that fully integrates and automates all B2B payment types including single-use virtual cards, ghost cards, proprietary network, ACH, paper checks, and foreign exchange (FX). · Secure & Compliant: CSI maintains PCI-DSS compliance and SOC 2 certification. We are serious about security and ensure all of our payment solutions exceed the highest industry standards. · Dual Issuer Processor: CSI is both an issuer and processer with Mastercard and Visa. · Flexibility: It’s easy to manage workflows, set approval parameters, establish reconciliation options, and see payment information in real-time from anywhere. · Mobility: The traveling CFO no longer holds up the payments process. With CSI Paysystems, the approval process is automated and accessible from any tablet or desktop computer. 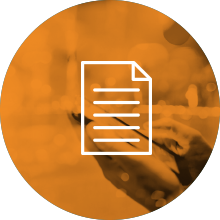 · Seamless Integration: Integration is completed with a single file upload and a few short phone calls. No downtime or cost is required and payments can be automated in as little as two weeks. · Existing Workflow: CSI Paysystems can mirror any existing workflow process with the ability to establish varying levels of authority and approval requirements. Additional workflow rules are available for payment and/or batch dollar value thresholds. CSI Paysystems also validates all files to avoid duplicate payments. · Cash Rebates: Measurable increase in revenue stream with cash back rewards on your virtual card, ghost card, and proprietary network payments to suppliers. · Reduced operation costs: Faster, more secure payments reduce manual processing and allow for greater staff and company efficiencies. · Dedicated Support: Our AP-certified account team is dedicated to each and every client’s success. We are high-touch and provide a dedicated relationship manager to every account to keep up with your evolving business. We’re constantly working to provide you with adaptable payment solutions that solve all of your corporate spending needs. · Award Winning: CSI has won multiple awards for our attentive and intelligent customer service offering. · Flexible, Detailed Reports: CSI Paysystems offers flexible reporting options including instant cross-payment method reconciliation reports. Reports can be generated in PDF and CSV file formats and accessed in real-time. They can also be scheduled for email delivery or through FTP. · Dashboards & Analytics: Graphical dashboard reporting offers robust reporting, analysis tools and key performance indicators. Standard reports provide user metric, accrual, and system admin data. Ad-hoc reporting includes custom reports for deeper invoice analysis. All reporting functions can be performed without IT experience and can be exported to Excel and CSV file formats. · Bi-Directional Integration with NetSuite: Bi-directional integration between NetSuite and CSI Paysystems means you never have to worry about double data entry; all payment information is fully synced. 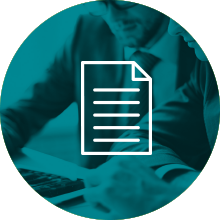 · Audit History: An audit history report feature has also been included and designed by a public audit firm to meet all SOX requirements. Reports track and maintain action details for every processed invoice regardless of status. The Audit Review feature creates external access to an online audit folder provided to auditors for access to requested documents. · Optimized Acceptance: Our team works on your behalf to optimize your payments and convert an average of more than 40% of your checks to electronic payments. We continue to optimize your payments throughout the lifetime of your account. · Existing Relationships: We have existing relationships with hundreds of thousands of vendors that accept electronic payments through CSI Paysystems. · Supplier Portal: Our suppliers are able to log into our system to access their payment information. If they have a secure email, they can receive the payment data via email instead. · Supplier Remittance: Complete remittance information includes invoice-level data provided to your vendor. 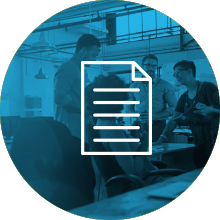 · In-House Dedicated Team: We manage all vendor inquiries to save you time plus provide ongoing vendor enrollment campaigns that leverage our existing relationships. Since 1989, CSI has provided innovative payment solutions to world-leading brands while providing the highest level of customer service. The company’s highly secure payment products have earned multiple awards, including the 2015 CODiE Award for the software industry’s best financial management system. With one payment file upload, customers can automate AP from invoice to payments and disburse globally through virtual credit card, proprietary network, ACH, check, or FX with cross-border payments settled in local currency. CSI payment solutions include CSI Paysystems, CSI Travel, CSI Go mobile application, CSI Connect API development, CSI Invoice, and global-fleet fuel cards. CSI’s innovative products reduce costs and increase profits in all areas of B2B payments, including accounts payable, business travel spending, and fuel purchases. CSI is a certified Mastercard processor and has obtained Visa Ready for Business Solutions approval. Learn more at www.corporatespending.com.